The first thing visitors will notice as they enter your home is your floor - so don't let worn, tired old wood flooring, vinyl or laminate flooring let you down. Well-chosen, high quality carpets, real wood, laminate or designer flooring can transform your home and with professional flooring fitters, you are assured to have the perfect floor that will astound guests. Lifestyle Designer Floor Coverings provides a luxury service in your home. We always visit our customers in Kent and the South East – it gives them the opportunity to view our wide ranges of new carpets, oak flooring, wood, vinyl and laminate flooring in situ and ensures a perfect colour match. Our flooring fitters are also on hand to make sure that you are guided through the process of choosing the best floor for your home and then providing a high quality installation. You also have the undivided attention of a of one of our expert floor fitters that is just not possible in a showroom with other customers waiting to be served. We will not rush you on your choice of new floor fitting, we will advise you based on decades of expertise and experience and work to your budget to help you make the right decision. 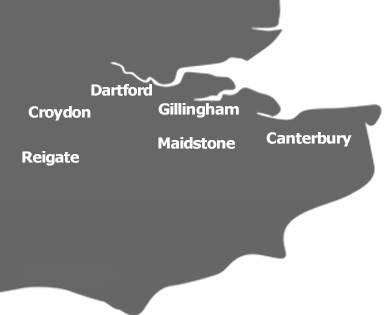 From our central premises in Rochester, Kent, we extend our mobile flooring service to domestic customers across the whole of the South East. Our flooring fitters work with homeowners in Gillingham, Rochester, Bexley, Canterbury, Maidstone, Dartford, Bromley, Ramsgate, Rainham, Gravesend, Crawley, Herne Bay, Caterham, Whitstable, Tonbridge, Aylesford, Chatham, Tunbridge Wells, Reigate, Sheerness, Medway, Swale and throughout London, providing the finest new carpets, oak flooring, vinyl, real wood and laminate flooring installations. We will ensure that you receive the best in domestic flooring options and our floor fitters will provide you with the best in vinyl, laminate and carpet fitting. Call us today on 01634 294414 and we will provide you with the designer flooring of your dreams. For certain situations, we also provide safety flooring to ensure your property is kept the way you want it to. You can of course take your time to choose your new fitting and we will leave flooring samples with you without a deposit. A new floor is an important decision that should not be rushed; you will have to live with it for years. If you need assistance, our professional floor fitters are always happy to offer help and guidance in choosing the perfect new carpet, vinyl, laminate or oak flooring for your property. 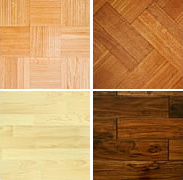 We have our own teams of time-served and experienced floor fitters who are passionate about the quality of their work. More details can be found here. Our professional team provide domestic properties with high quality installations of all new carpets, laminate flooring, vinyls and oak flooring. We stride to only provide the very best in floor coverings, but also provide a high quality installation service. Our floor fitters are always happy to answer any questions you may have and help you choose the right new carpet or designer flooring that suits your property. A well installed floor has an increased lifetime and offers more comfort for a longer time so don't hesitate to get in contact with us and speak to the specialists.